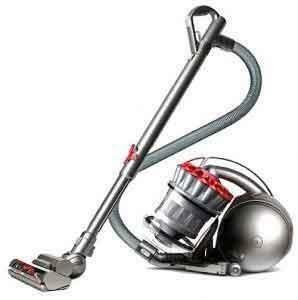 The Dyson DC35 Multi Floor is a Handheld vacuum cleaner with a difference. The motorised floor tool gives you a deeper clean than ever before. Ultra-fine conductive carbon fibre filaments clean hard floor. whilst Rotating nylon brushes remove ground-in dirt from carpet. With the Dyson DC35 Animal you can also avoid ongoing costs as this vacuum does not require bags and all the filters are washable.